Veeam Agent for Linux is now available! Even though Veeam has made a name for itself with industry-leading, agentless backup solutions for virtualized environments, we are still constantly asked about backing up non-virtualized systems. Based on feedback and as a growth opportunity, we decided to launch Veeam Agent for Microsoft Windows (formerly known as Veeam Endpoint Backup FREE). Veeam Agent for Microsoft Windows will be available soon and it includes many top-requested features! We were also constantly asked about Linux systems, so we finally announced Veeam Agent for Linux and launched a beta. Today, we are excited to announce that Veeam Agent for Linux is generally available! Before we dive into the product itself, let’s discuss why a company like Veeam that makes agentless backups, decided to start making agent-based products. As you may know, not every workload can be virtualized due to hardware dependencies, heavy loads on servers or for other reasons. Then there are the Linux machines in the public cloud that need an agent to interact with them. Long story short, agentless backups are superior for virtualized environments, but when it comes down to a physical server, agents are preferred. Veeam Agent for Linux is a tool that backs up physical Linux systems such as a workstation, a server or machines in the public cloud. This tool creates image-based backups that are stored in VBK format, the same as in Veeam Backup & Replication and Veeam Agent for Microsoft Windows. Veeam Agent for Linux comes with its own snapshot and change block tracking (CBT) driver that allows for creating incremental backups without rescanning. The installation has become much easier since the beta: no more installs of manual packages! 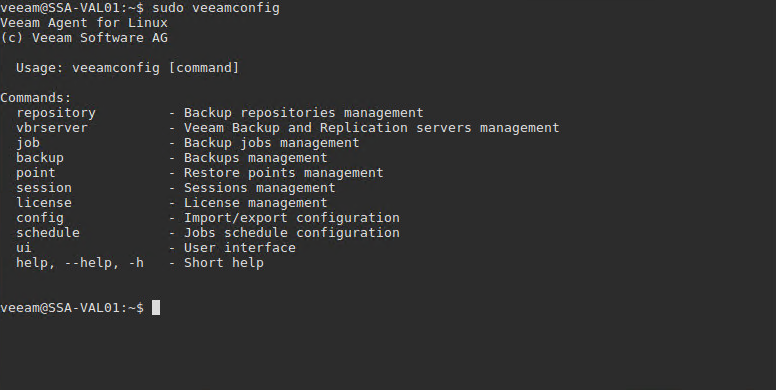 You are now able to install Veeam Agent for Linux and update it via the Veeam Repository. Be sure to check out the release notes for more installation instructions. After you install the product, you have two options to interact with it: Via a step-by-step wizard or through the command line. For those who want more agile control over backups, this gives you the ability to use command lines, so you can create your own scripts to automate deployment and backups. And add the parameters of the job. As you can see from the screenshots, you can specify such parameters as compressionLevel and blockSize, that are not available in the UI. You can also specify pre-freeze and post-thaw scripts here, which will allow you, for example, to get consistent database server backups. 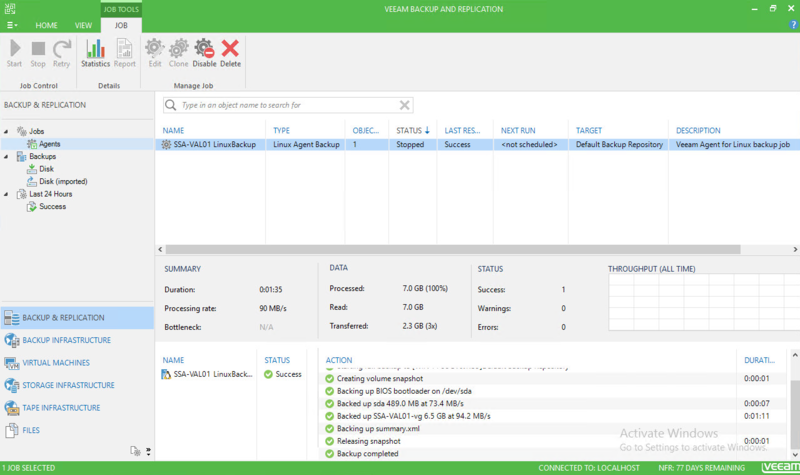 If you decide to leverage a Veeam Backup & Replication server to store your backups, you’ll be able to see all of them in a new tab called Agents. 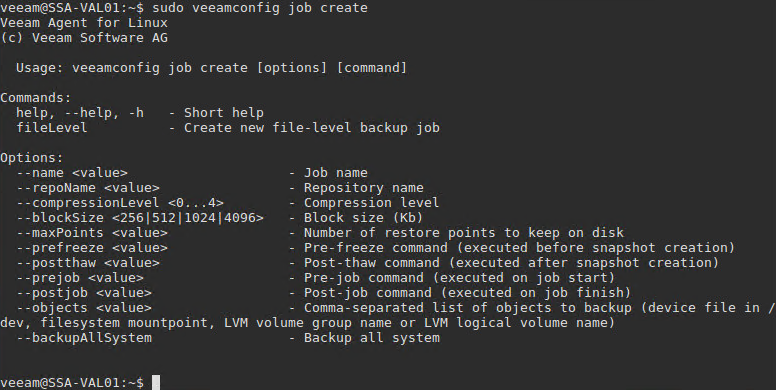 If you need to perform a file-level restore, just launch a Veeam Agent for Linux UI, select the Recover Files command and your backup will be mounted as a directory, so your preferred file manager can be used to get your files. 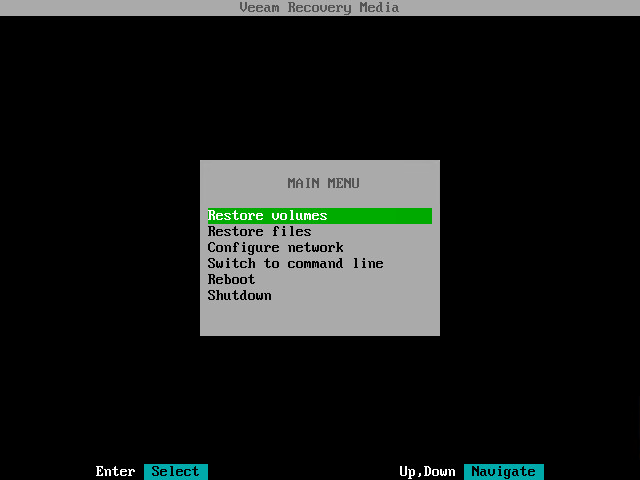 Veeam Agent for Linux also comes with recovery media that you boot into to perform a restore on any level: bare-metal, volume or individual file. 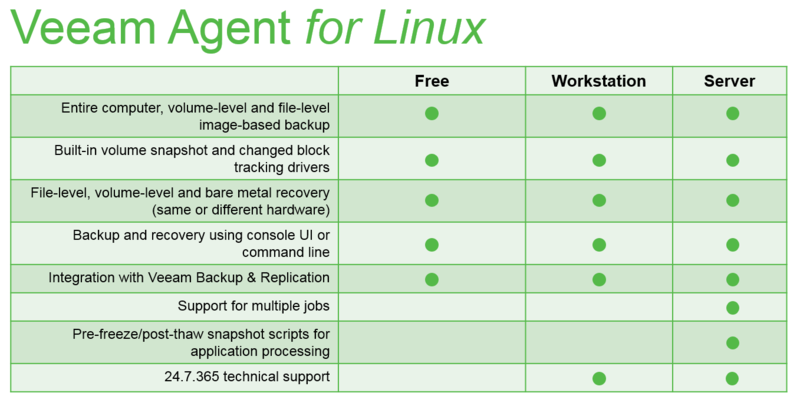 Veeam Agent for Linux comes in three editions: Free, Workstation and Sever. 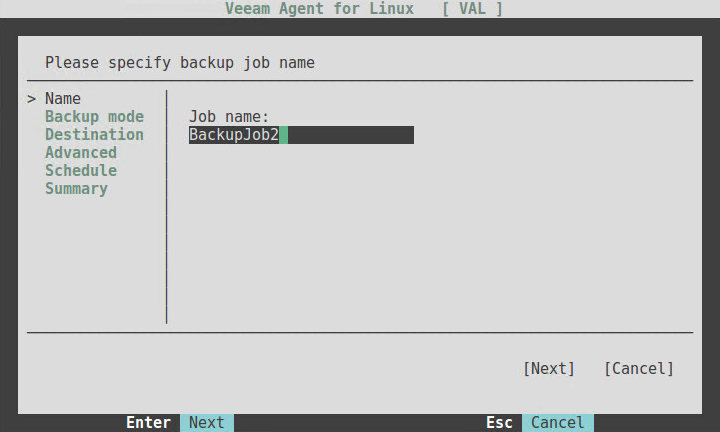 With a Free edition of backup agent for Linux you get all the basic features such as snapshots and CBT, all levels of backup and restore (both UI and command line) and integration with Veeam Backup & Replication. It’s perfect for home use or some non-critical systems. The key feature with the Workstation edition is that you get 24.7.365, enterprise-level support, plus all of the free edition features. The Server edition is the most advanced version. It includes pre-freeze and post-thaw scripts for application processing, and it supports multiple jobs. Veeam Agent for Linux allows you to protect your on-premises Linux systems or the systems in the public cloud. It is a standalone product that doesn’t require Veeam Backup & Replication, although it can leverage its backup repositories. Download Veeam Agent for Linux now!